There are a variety of fresh fruits that can be used to top schaum tortes. In the midst of fig season the answer is obvious for me. 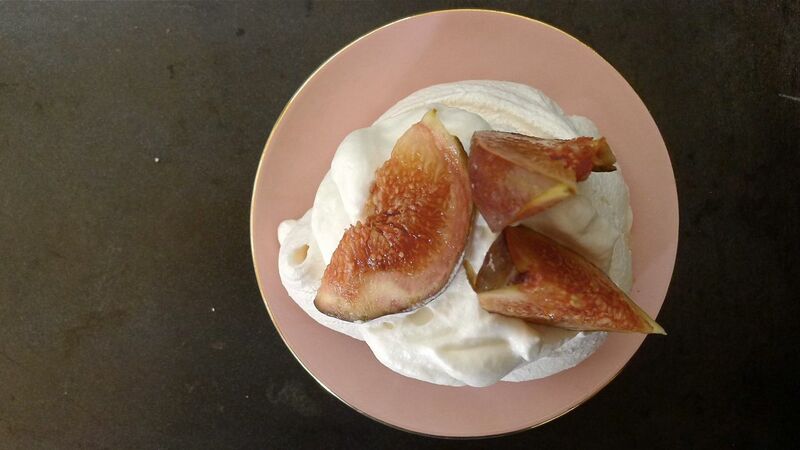 The sliced figs to top the dessert don't need to be tossed in any extra flavoring or sugar. 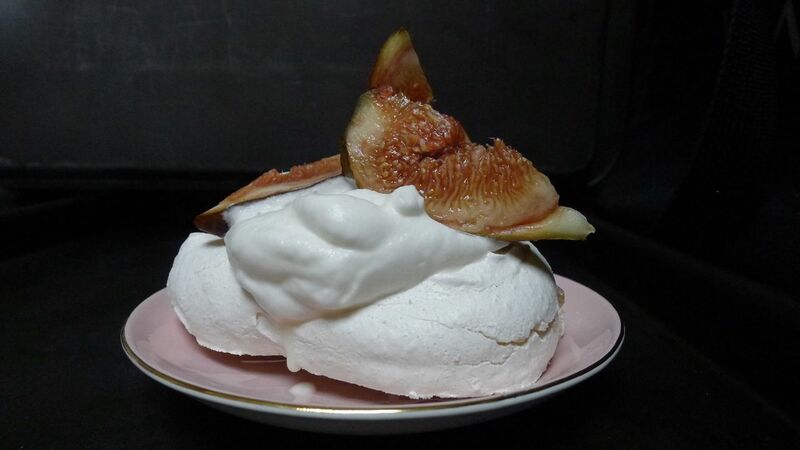 You can however, grill the figs to bring out natural sweetness and add more depth for your palate.